Rügen (Ruegen) is Germany’s largest island and is located just off the coast in the Baltic Sea, a few hours drive from Berlin. We had fun driving through the sunny countryside, bouncing on a trampoline in Binz and eating Fischbrötchen with Butterfisch (best fish Ginger ever had) in Sellin. It was a great way to enjoy one of the last days of summer. The song is “Swarm The Hill” by Jason Matherne of Goonygoogoo Productions. 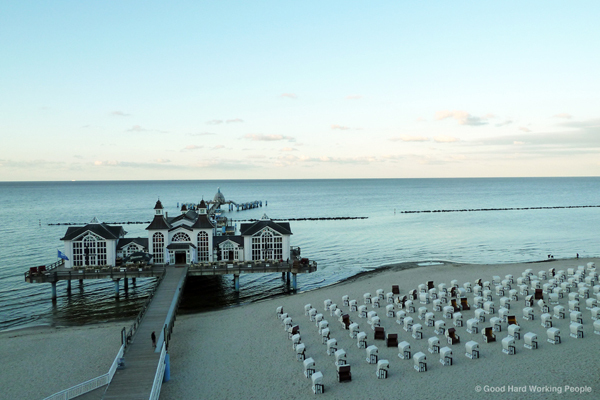 You can look at more photos from this video shoot on my personal blog: Photos from Insel Ruegen (Baltic Sea, Ostsee).